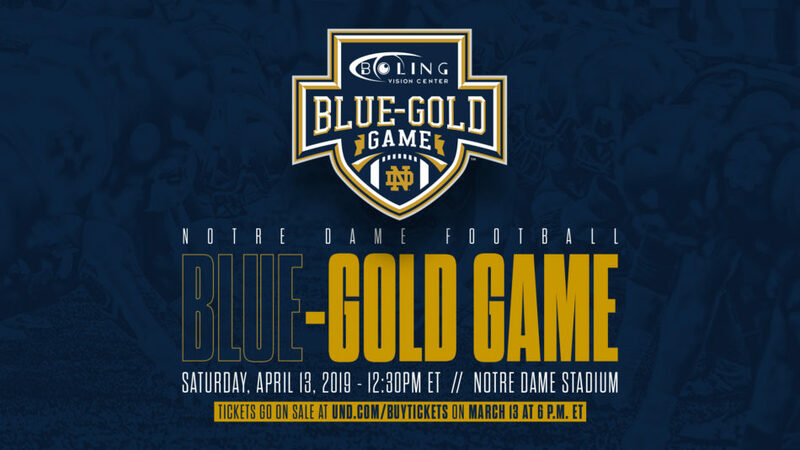 The 90th edition of the Notre Dame Blue-Gold Game takes place this Saturday (12:30 PM ET NBC Sports Network) as the Irish conclude what’s been a very long spring practice schedule spanning back to March 2nd. The coverage has been extensive in recent weeks which doesn’t leave a ton to discuss prior to a controlled scrimmage but we’ll find a way. The weather is projected to leave something to be desired–high 40’s and a bit breezy. As per usual, expect the 2nd half to be sped up and feature very few snaps. Donte Vaughn (shoulder), Shaun Crawford (knee), Jamion Franklin (thigh), Hunter Spears (knee), Jack Kiser (shoulder), Drew White (shoulder), Trevor Ruhland (knee), Alohi Gilman (thigh), Javon McKinley (groin), Cole Kmet (ankle), Jahmir Smith (hamstring), Braden Lenzy (hamstring). Most of these players will be sitting out for the spring game. It seems like Gilman might take some reps but be limited. McKinley recently started coming back from his groin injury and could be featured. Kmet’s ankle is rumored to be enough to keep him out as he missed Tuesday’s practice in view of the media. Both Smith and Lenzy could go either way, although being limited seems most likely. Khalid Kareem has also been taking it easy following a head injury and could be out or limited on Saturday. Tony Jones was also not in pads on Tuesday but no updates if that was an injury situation or not. Hey, I wrote about this! Shameless plug. While he wears a red jersey and knows he won’t get hit it takes away from being able to evaluate Book properly. We could still see if he’s more crafty and able to change his throwing angles with his feet, though. I know everyone wants to see the deep ball completed but even a few medium-length completions that are tough throws will be positive developments. Simply put, let’s see something. After a spring practice full of no fewer than 7 wideouts receiving acclaim in a variety of forms fans should be ready to see this new-found depth on display. A tight end that runs away from people with the ball in his hands? This is what made Tremble such an enticing prospect coming out of high school despite lacking traditional tight end size. With projected starter Cole Kmet likely to be held out we should see a heavy dose of Tremble’s athleticism on Saturday. With Jahmir Smith nursing an injury this could be a massive spring game for C’Bo Flemister and Kyren Williams and their confidence. If Tony Jones is limited or held out one of these backs (or both!) could be seeing significant action during the first half when the scrimmage mostly resembles a real game. We were expecting a positional battle at center and got absolutely none of it. During Kelly’s spring opening press conference he was effusive in his praise for Jarrett Patterson and the rising redshirt freshman spent every practice (that the media saw) working as the first-team center. He’s the missing piece to a veteran line that has been able to gel together this entire spring. Things started out well for Griffith moving back to corner. The last 3 or 4 open practices the feeling is that he’s not quite at the level of a starter yet, though. The spring game will be our first extended look at him playing outside corner. He’s someone who could really use positive momentum heading into the off-season with a strong performance. Our last practice report covered how Lacey is holding up incredibly well for his young age. The spring will be the public’s first look at how he shapes up physically against some of Notre Dame’s best offensive linemen. We should see if he’s trending toward becoming the biggest impact freshman with no peer in that category or if things are a little bit more difficult in a controlled game situation. A common theme discussed this spring is the loss of backbone linebackers Tranquill and Coney but yet how the Irish linebackers look even more athletic than last year. While the athleticism of the entire unit should be better thanks to being 27 pounds lighter in aggregate it’s the explosiveness of Jeremiah Owusu-Koramoah who has the ability to transform the Irish defense on the edges. He made a nice impact during last year’s game and hopefully JOK takes the next step on Saturday. Just when depth at safety seemed to be building this spring has turned the position on its head. Now, we will see if D.J. Brown and Derrik Allen can provide something as backups or if they are merely keeping the seat warm for even younger players, particularly Kyle Hamilton. Both quarterbacks should be stretching the field vertically on occasion with Gilman and Elliott resting plenty on the sidelines. Let’s see what Brown and Allen can do out there. Will anyone have more pressure than Jonathan Doerer’s placekicking? 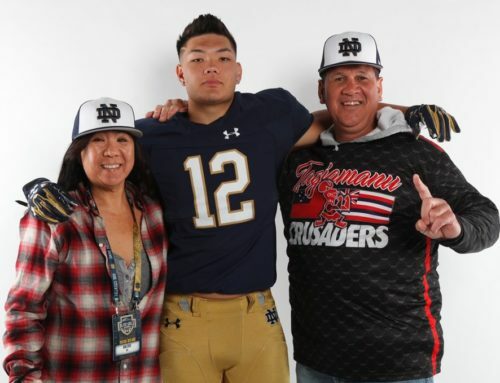 He struggled immensely with kickoff duties last year being pulled and pushed back out there multiple times and has the job of replacing an Irish legend. Doerer’s only career attempt (while Yoon was resting his leg last year) came in San Diego against Navy so these will be some of his first “official” game-pressure kicks inside Notre Dame Stadium. Alexander is heading into his 3rd year with the Irish and while his stock seemed to be plummeting following a very frustrating 2017 season at wide receiver he’s quietly ascended the ranks as a quality assistant, teeming with pride over the development of Miles Boykin and now the verbal of Jordan Johnson. He’s riding a nice wave of momentum with what is shaping up to be one of the deeper wide receiver corps of the Kelly era. *Brandon Wimbush’s accuracy was spotty but he had a high yards per attempt and put up good stats. *Jafar Armstrong looked entirely capable of being no worse than the third running back. *Tony Jones looked like he was the distant third running back behind Dexter and Armstrong. *Boykin and Claypool combined for 9 receptions for 283 yards, establishing themselves as the go-to outside receivers. *The offensive line false started 6 times, gave up a ton of sacks, and generally got dominated by the defensive line. *Asmar Bilal looked competent enough at Rover. *Safeties Jalen Elliott and Alohi Gilman were noticeably productive. *The first half was basically 75% passing like the year prior. Some people freaked out. The game in recent years has really devolved into getting the quarterbacks as many reps as possible. *Avery Davis made a couple nice plays which sent his summer stock soaring. *The tight ends were targeted a lot, especially Cole Kmet, but that didn’t carry over into the season too much. *Darnell Ewell was credited with a sack despite not coming within 9 feet of Ian Book’s air space. *Te’von Coney was as invisible as he’s ever been on a football field. *After several players featured black cleats the Irish went their 7th straight season without wearing this color in a game. What a tease. Kevin Austin catches one pass in the first quarter, 4 in the second quarter, and 3 in the third quarter for 127 yards and 1 touchdown. Tariq Bracy picks off a pair of interceptions solidifying this award. You talked about my pick for MVP/surprise player, Tremble. Here’s a Long quote about him, sounds very encouraging. I’m super excited to watch him tomorrow. Probably more than anyone else. Driskell seems very positive about Griffith. All of the other prognosticators were worried about him, but Driskell didn’t seem phased at all. It seems like in a team setting, they could play to his strengths and not put him in press situations as much. That was how I understood it anyway. Wait, there’s actual praise for Del Alexander? 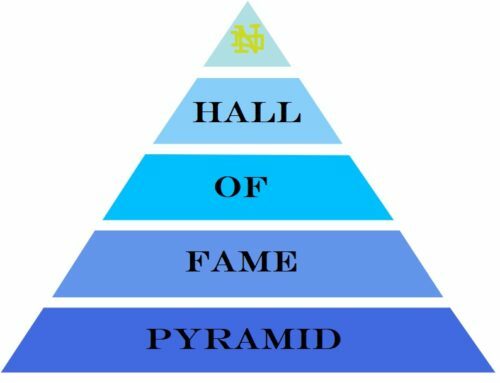 Despite the fact that we’ve had recievers struggling to get separation, no usable depth at the position, and no real standouts at the position since he’s been at ND? The run blocking has been great, but that’s not the main reason you have wide outs on the field. Did you miss all of last season? Watching now – this new camera angle is AWFUL. It’s making me ill watching the game with all the movement. This better not be the future of TV football. I liked the camera angle. I thought it was pretty cool. Oh lord. That recreation of the sad Virginia fan. Perfect. I was very encouraged by the RBs. Maybe it is recency bias, but they almost all looked better than Tony Jones Jr.
Was not encouraged by the coverage. Some decent individual plays, but Book went about 75% with 10+ y/a. I think Gilman and his communication will help, but I really wish Love had stuck around. Jurkovec looked pretty good for his first extended action. Has a long way to go, but looked a lot better than any other first timer I can remember. I think we could probably win 8-9 games with him this year. Definitely nervous about the kicking game. Overall, I think this was one of the sharper BG games, and I came away feeling better about next season than I usually do after these things. Lastly, I thought the coverage was really good compared to most of our broadcasts. Flutie is much better on the sideline. I’ve always thought of Simms as kind of anti-ND, but he was effusive in his praise for all things Irish, and I think he has improved as an announcer. The overall attitude was super positive, which made it pleasant to watch. It was probably a bit too positive about the quality of the team, it basically made it seem like we didn’t have any holes, when we clearly do. They discussed the loss at LB wayyyyy more than the loss at CB, which I think most people would have considered a bigger concern anyway when looking at the current roster. Will Flutie stay on the sidelines for the regular season???? That would be great. I don’t know how Simms was, but I can only imagine he was far better than Flutie in the box. And actually I don’t think I’d mind Flutie so much telling stories on the sideline – that does seem like a better fit for him. Simms was positive to the point of being vapid. Perhaps because it was just ND on ND, they didn’t feel the need badmouth ND in order to not appear biased. I get that the BG game is one big infomercial for ND, but Simms was laying it on thick. Granted, he’d be better in the booth than Flutie, but that’s a low bar. I loved Simms. Definitely an ND homer, but so am I. 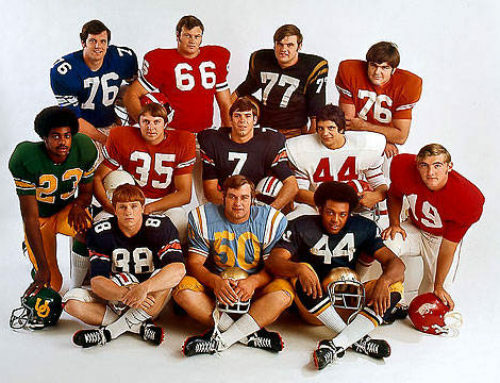 Who was the kid playing CB that had a few plays (also a PI I think)–Agoro? The ND website says he’s a senior, so I’m assuming a walk on, but he made a few plays. I was surprised to hear that name, because I’d never heard of him.